We seem to be living in the age of the innovator. Enlightened companies now dream of becoming visionaries in terms of the kinds of problems that they should be solving….and the kind of arenas in which they should be competing. But in a world where we run our businesses on the basis of measurable results how can we measure the capabilities and outcomes of innovation? If creativity is, as some claim, fundamental to our human nature, then why does it seem so hard for companies to innovate successfully? And perhaps most importantly, how can we educate people and by extension our organisations to become better problem solvers and innovators? Darrell Mann is recognised as one of the world’s most prolific inventors – he was formerly Chief Engineer at Rolls-Royce and has generated over a dozen patents and patent applications. 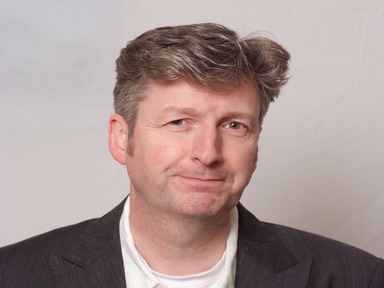 He has created a system for ranking innovation in organisations and his approach ‘Systematic Innovation’ is all about helping organisations to construct a repeatable formula for success. IMI: Based on your current work – what six words of advice would you give to business? IMI: What does that really mean? 1. The creativity often gets applied to the wrong problem. 2. Those creative people who are good at starting new ideas are often not very good at executing them. So the message for business is that we must get better at identifying what the problem is that we are trying to solve and once we have the solution we must be persistent in building the capacity to execute and make real that solution in the form of an innovation. In other words, we need to build our capacity to find the contradictions and then use our knowledge to develop innovations that resolve the contradiction. The challenge for managers and leaders is that the education system conditions us to ask the wrong questions. The MBA mindset in particular, since the Japanese quality revolutions of the 1970s has largely looked at improvement as being about optimization. So managers tend to assume that when looking for a solution to a problem there must be a trade-off that has to be made. The real innovators don’t accept the trade-offs! In fact, there is evidence that the powerful innovations come about when we can seek out and allow for contradictions. So to innovate we need to relearn the ability to hold potentially contradicting ideas in our minds. Yet when I have taught these concepts in universities I have often been told they were “dangerous”. Ireland is probably ahead of the game in this regard… there is a comfort with ambiguity here that you can see. Business innovation still has to catch up with the world of technical innovation. I find myself having a lot of conversations with CEOs who say they want new ideas and new thinking but they don’t want to change anything. Design thinking is becoming a popular tool in business because designers naturally have that ability to hold conflicting ideas and not converge on a solution. There is a big queue of executives going to Stanford and Berkeley in the states trying to reeducate themselves to become innovators. But when they come back to the office their KPIs are short-term and about optimisation. I work a lot with companies to help them to build dashboards that include innovation metrics as well as those other measures. The capability journey is quite a slow one; so companies need to deliver some innovation success stories in the short term – people are more likely to be on board if they can see demonstrated progress that is due to innovation. b) you use those problems to learn not to accept the trade-offs. I think the next 10 years are going to be very interesting. These are tough economic times and there has been and will continue to be a big surge in innovation to meet that. Those companies that can ride out the storm will be here for the longer term. In the end it is the Creator that will come out top. So it seems a mindset that allows for contradictions is what is needed. Interestingly, IMI research has shown that the Irish in general have a high tolerance for ambiguity – something which would pre-dispose us to being good innovators…. see the IMI IDA report Innovation and the Irish Mind by Andrew McLaughlin and Megan Burgdorf. If you’re interested in discussing this topic further see www.irdg.ie or come and talk to us about building the capacity for innovation in your business. 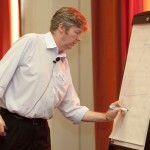 This article appeared originally on the Irish Management Institute blog at http://www.imi.ie/news-and-events. Republished with permission from the IMI.